The full article its a pay article. If someone is rich, go ahead. In the abstract, it says that donor hairs survive at 3 months. And transplanted hairs survive at 1 year. It doesn’t say if donor hairs survive at 1 year. Posted online on 13 Apr 2010. Background: There are different stem cell pools located in the hair follicle. Objective: To try to determine whether follicular units can survive a partial extraction and whether this partial extracted follicular unit can regenerate new hairs. Methods: From five individuals, between 100 and 150 grafts were harvested from the occipital area of the scalp. 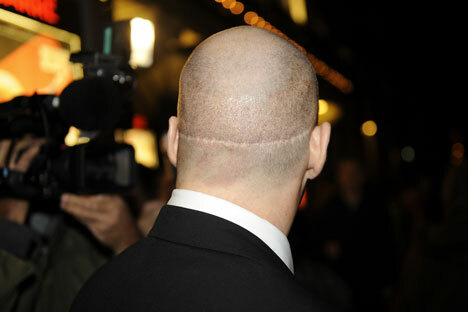 Suitable grafts were implanted into the recipient area. Hair growth and characteristics in the donor area and the recipient area were observed at different intervals. Results: After 3 months, between 92.1% and 104.1% (mean 97.7%) of the partial follicular units in the donor sites survived and produced hairs with the same characteristics. After 1 year, 91.1–101.7% (mean 95.9%) of the implanted partial follicular units regenerated hair growth with the same characteristics as the hairs in the donor area. Conclusions: We revealed that extracted partial longitudinal follicular units transplanted to the recipient area can be used as complete follicular units to regenerate completely differentiated hair growth with the same characteristics as in the donor area. We also revealed that the partial follicular units in the donor area can survive and produce the same number of hairs with the same characteristics. This technique enables us to generate two hair follicles from one follicle with consistent results and preserve the donor area. » The full article its a pay article. If someone is rich, go ahead. Do you guys think we could keep things civil? » » The full article its a pay article. If someone is rich, go ahead. » Do you guys think we could keep things civil? Pahh! On this board? Are you dreaming or what? Poor Iron_Man, he can barely understand english. He didn’t understand my post. I meant: if you are rich, go ahead and buy the full article. Not Gho’s procedure, of course. » » Do you guys think we could keep things civil? » Pahh! On this board? Are you dreaming or what? I used to argue here more than anyone… but than I grew up. Thanks Spanish Dude. I’m really curious to see what others in the scientific community think of this - this would be a real breakthrough if what Gho claims is happening is indeed happening. » what Gho claims is happening is indeed happening. Its Easy to show you what OTHERS are thinking. Look up all of Iron Mans Postings, he was telling you guys this GHO Thing long time ago, but SPanish DUde was always taunting him. And you guys were actually on Spanish Dudes Side. And now we should all go get along and sing some songs in rainbow land? Fact is : HM is coming pretty soon, forget this nonsense about 10 years. Iron Man was right the whole friggin time. Most of the people here are hippocrates. Hey, Leeroy, why don’t you go and buy the article for us, and tell us what it says? I would be very surprised if this article presented the long awaited proof of Gho’s claims. you are the one who tried to slam spanish dude again for no apparent reason… dont blame it on the board when you are actually a major part of the problem. » » what Gho claims is happening is indeed happening. » Its Easy to show you what OTHERS are thinking. » actually on Spanish Dudes Side. » And now we should all go get along and sing some songs in rainbow land? » Fact is : HM is coming pretty soon, forget this nonsense about 10 years. » Iron Man was right the whole friggin time. » Most of the people here are hippocrates. u keep telling us it is coming soon… but u never explain how they are going to breach the undeniable FDA approval process time… you dont make sense. And why are we hypocrites? » » of Gho’s claims. why cant u simply stfu if u dont have anything useful to post. 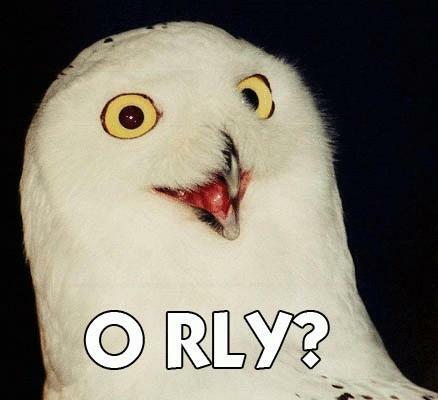 » why cant u simply stfu if u dont have anything useful to post. Years ago, I posted an independent study of Dr. Gho’s old FM technique that showed 70% of the donor hairs regrow if transected in the skin. However, in my interview with Dr. Gho, he stated the regrowth was greatly improved with his newer longitudinal transection technique. Despite recipient growth being the most difficult aspect to figure out, Gho’s recipient growth has always been on par with HT, because he soaks the transected grafts in HM culture medium (essentially the same stuff Histogen injects to rejuvinate balding follicles). As shown by the independent study, the donor regrowth is not a problem. 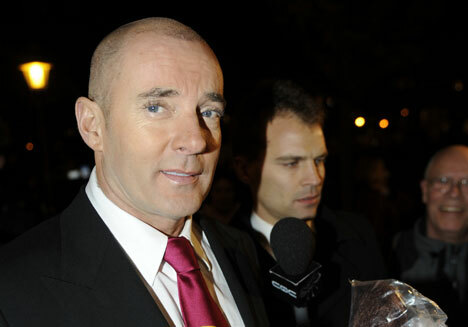 The difficult part of this technique is to get the recipient follicles to regenerate and grow hair. Dr. Gho has figured it out, and he has been treating an increasing number of Dutch celebrities. One thing to keep in mind is the co-author of this study is a professor at a prestigious Dutch university and is one of the most well-respected dermatologists in the world as well as one of the most published researchers. This is a prestigious peer-reviewed journal. Gho’s co-author would not publish fake data in this journal. The claimed hair counts are accurate. Anybody who is currently enrolled in college has access to this article through their library’s online subscription service. There must be at least one person at this site who is currently enrolled in school and can give us the details? The most important thing here is the statistical details so we can get an idea of the consistency achievable. From the abstract, it appears Gho has managed to get nearly perfect consistency in the donor and recipient sites. BTW, the rejuvinated donor hairs last forever, but it takes about a year for them to fully reform into fully functional hair follicles (as shown in Dr. Kim’s study). 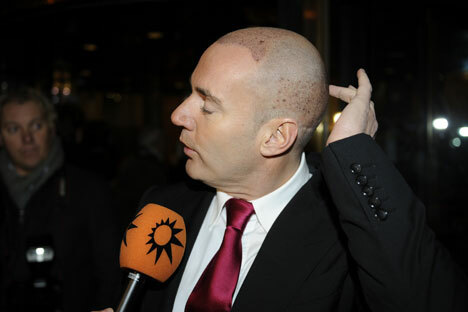 For this reason, you should not take donor follicles from the same area for at least 10 months. The only thing that has really been holding the procedure back is Gho’s placement technique. However, the latest results I’ve seen appear to indicate he’s resolved this issue as well. Perhaps this thing has finally come of age. » that showed 70% of the donor hairs regrow if transected in the skin. » improved with his newer longitudinal transection technique. » injects to rejuvinate balding follicles). » As shown by the independent study, the donor regrowth is not a problem. » treating an increasing number of Dutch celebrities. » publish fake data in this journal. The claimed hair counts are accurate. » the same area for at least 10 months. » indicate he’s resolved this issue as well. » Perhaps this thing has finally come of age. JB, good to see you on the board again. I hope this thing is for real. I do have access to this journal (I am a mathematics lecturer in my spare time), but receive the journals two months late. I therefore can only get this article in June. If no one else has posted it by then, I will download it and post it. But if someone else (perhaps a med student) has better access, I would be extremely grateful if he or she posts it. BTW JB, do you think Gho would be open to another interview with you? Probably a good time for one - would give Gho some free publicity too. » BTW JB, do you think Gho would be open to another interview with you? » Probably a good time for one - would give Gho some free publicity too. Thanks for offering to post the article when you get access (unless posted earlier). I’m looking forward to reading it. I could try for another interview with Dr. Gho, but I would like to wait and read the full article first. There is another issue. The last time I did an interview with him and posted it, a lot of people attacked him. That did not go over well, and I’m reluctant to expose him to that kind of factless negative attention and ridicule a second time. I’m certain he is reluctant to undergo it again as well. It takes a lot of time and energy to provide detailed answers, photos, and illustrations to a comprehensive interview. Being ridiculed for doing so does not provide a lot of motivation to take time out of a busy schedule and undergo it a second time. Especially since Gho is a researcher and prefers to be left alone to do his research in private. Even after posting an independent research study that proved Dr. Gho’s claims of donor regrowth to be factual, the ridicule never stopped. It’s difficult to see why having his donor-regrowth study published in a prestigious peer-reviewed journal would change the outcome. Don’t get me wrong, I’d like to do the interview, I’m just not seeing that it’s going to be worth it for Gho to agree. Until I see the full article, there is little to comment. Just one thing: according to the excerpt, Gho says that, basically, yield is 100% in BOTH the donor and recipient site. So, according to this study, all the transplanted hairs survive, and all of the donor hairs, regenerate. So, this would be a FUE, with absolutely no loss of donor hair. So, Gho claims he is able to produce, say, 10.000 new hairs for the receptor area, while letting the donor area totally unaffected. Where are the photos of full restauration? And why Gho himself is balding? And these claims are against experience reported by bverotti from ProHairClinic in Belgium. Bverotti says that he receives Gho’s patients, and every time he sees white dots in the donor area without any sign of regeneration. He says that it looks like normal FUE. And he says that this is so, even with new Gho’s technique (HST). If bverotti is lying, and he is inventing everything to discredit Gho, that would mean that Bverotti is a terrible evil man. It would be so evil, that it would be difficult for me to conceive. The problem is that other doctors have also said the same as bverotti. In Belgium and Holland, about 10 clinics have signed a joint warning message against Gho. After Gho threatened them with lawyers, only a few backpedaled. Are all of them “terrible evils”? Just imagine: Gho is a legit doctor, a pioneer, he has invented something new, all the other doctors know that Gho is correct, but they are so evil that invent lies to discredit him!! Do you think this is credible? Gho has a small clinic, and represents little competition to other HT doctors. It is ridiculous to think that all the HT doctors would organize a conspiration against Gho if he was legit. It is curious, that Gho says that 100% recipient-site hairs survive after 1 year, and 100% donor hairs survive at 3 months, but he doesn’t say if these donor hairs survive at 1 year. If Gho has not evaluated the donor regeneration long term, then this study is of little value. 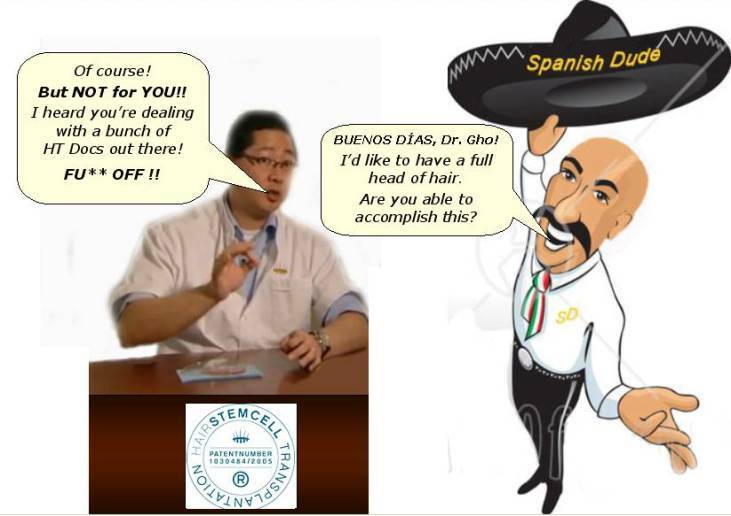 You say that after 10 months, donor hairs remodel themselves and are totally recovered (Dr. Kim study). I would like to see if this is the case for Gho’s technique. 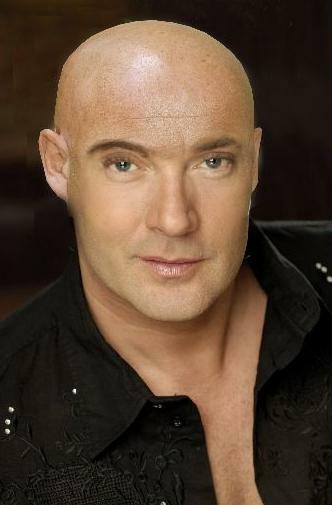 You, James Bond, have posted 2 photos of Gerard Joling, somehow trying to fool people into thinking that a totally bald man was converted into a full head of hair. 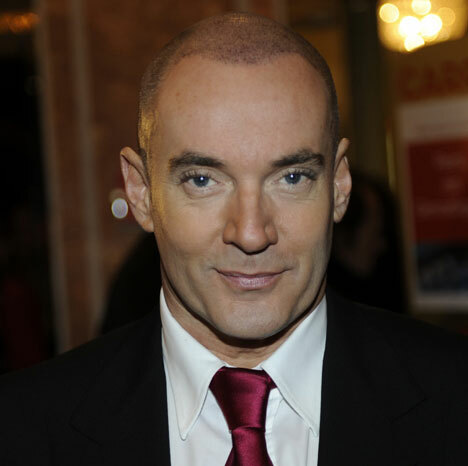 -In the first photo, Joling is shaved, so you can’t tell the extent of his baldness. -Joling got several strip HTs in the past, so his current hair is in part thanks to those HTs. -Joling promotes every treatment he gets. In the past, he used laser, and he was very happy, telling everyone about it, and advertising the clinic everywhere. Probably, Joling gets free treatments in exchange for the advertising. So I don’t think Joling opinion is neutral. Here are additional photos needed to get “the full picture”.